Well I know this is becoming repetitive on an annual basis, but if you are a regular reader you know February is about cake and birthdays in our family. 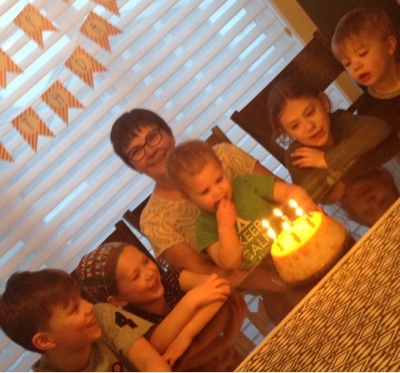 For one set of grandkids and a daughter who plays, it's also becoming about tournaments. I attended the annual Federated Cooperative's meetings and AGM in Saskatoon. And this year Don drove and continued to Tisdale to visit his family. Don has done quite a bit of work this winter, just in the office instead of on the road. Permits and applications take a lot of time, but it has given him something to focus on. In addition to that we have both had great success with our health initiatives. Don has lost 20 pounds and I've lost 30! We are both feeling great. Don's has been some minor adjustments in eating, and adding more exercise. Mine the same except I've cut out carbs and so also sugar. Don attends heart regard weekly at the Mazankowski Heart Centre in Edmonton. It's a combination of education classes ( which I attend as well) and exercise classes. I'm selfishly happy he now uses weights as part of his routine. A short talk about ice sports. We watched so many hockey and ringette games. Spent hours at the rink! Blake played in the Stollery tournament, Emerson in the Sweetheart and Silver Ring, Reese in the Sweetheart and Lindsay in the Sweetheart! Connor and Mason are in swimming lessons and I spent a few Thursday mornings at the pool and then with Lindsay visiting and shopping. I love our Thursday mornings. 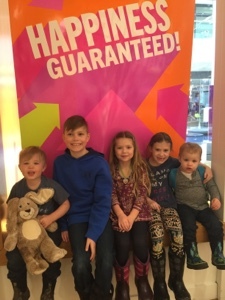 When we return form spring vacation Connor will be playing floor hockey, Blake Lacrosse and Baseball and I'm not sure about the girls and Mason. I will end this with birthday wishes for our family. 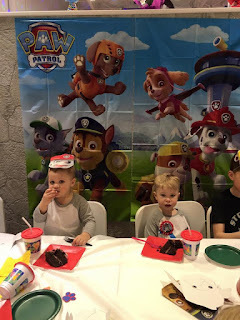 February 3 - Mason turns 2! What an addition to our family this little guy has been. His eyes light up with his smile, his why's fill your head, and his love never ends. February 11 - Cal turns... 30ish - Hard worker, father, coach, runner, hockey enthusiast and of course husband. 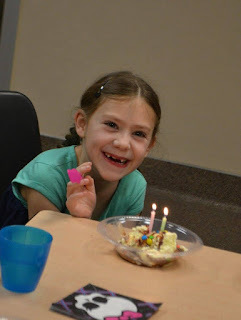 February 16 - Emerson turns 7! - The first princess to join our family, Emerson is a deep thinker, sometimes overthinks, spreads her love around unlimited, tries to smile through everything. February 20 - I turned 54. Emerson thought I was in my 40's. HAHA. February 22 - Jeremy also turned 30ish. Less 30ish than Cal. LOL Such a hard worker, father, fisherman, fantastic cook, and husband. 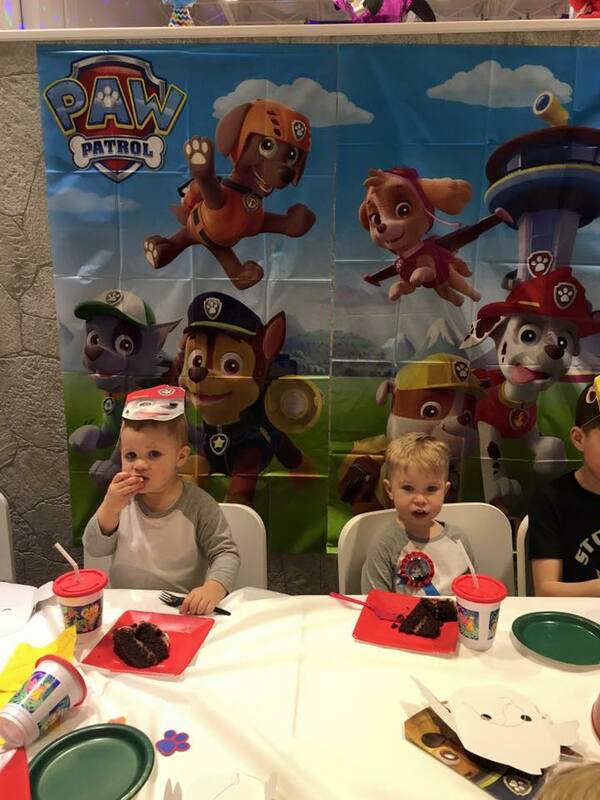 February 28 - Connor turned 4! How is that possible? I think Connor is a strategic thinker, putting things in order so they make sense to him. The most loving of kids, eager to say I love you, eager to hug and kiss. His I miss you Grandma break my heart.